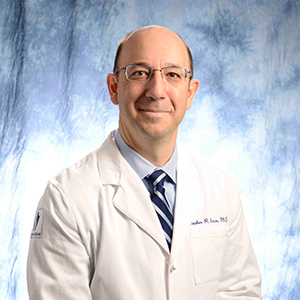 Stephen P. Banco, MD is a board-certified, fellowship-trained Orthopaedic Spinal Surgeon. Dr. Banco received his undergraduate degree from Lehigh University. He attended Jefferson Medical College and completed his residency at Thomas Jefferson University Hospital and The Rothman Institute. Dr. Banco completed a spinal surgery fellowship at The New England Baptist Hospital in Boston. Dr. Banco is currently on the Editorial Review Board of Clinical Spine Surgery and has recently authored two book chapters in The Spine. He has published original research articles in The Journal of Bone and Joint Surgery, Spine and Current Opinions in Orthopaedics. Dr. Banco is the President of Keystone Spine and Pain Management Center. He is President-Emeritus and a founding member of Keystone Orthopaedic Specialists and maintains active privileges at The Surgical Institute of Reading and Penn State Health/St Joseph’s. Dr. Banco has been a practicing orthopaedic spinal surgeon for 14 years.